Hotel Villa Laguna, Venice. Villa Laguna Hotel Venice. 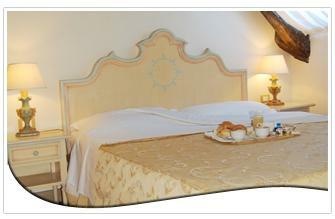 Hotel Villa Laguna is a charming and friendly 4 star hotel in the heart of Lido di Venezia. Its strategic position allows to reach in just 10 minutes Piazza San Marco. Hotel Villa Laguna is the ideal choice if you're willing to spend a pleasant and relaxing vacation, here you will find true peace, away from the bustle of Venice. All rooms (suites) of the hotel, elegant and comfortable, offer amenities including air conditioning, heating, satellite TV and safety deposit box, bathrooms with shower or bath. Hotel Villa Laguna offers every kind of service as the lounge bar, restaurant, laundry and many other services that will make unforgettable your stay at the Lido of Venice.